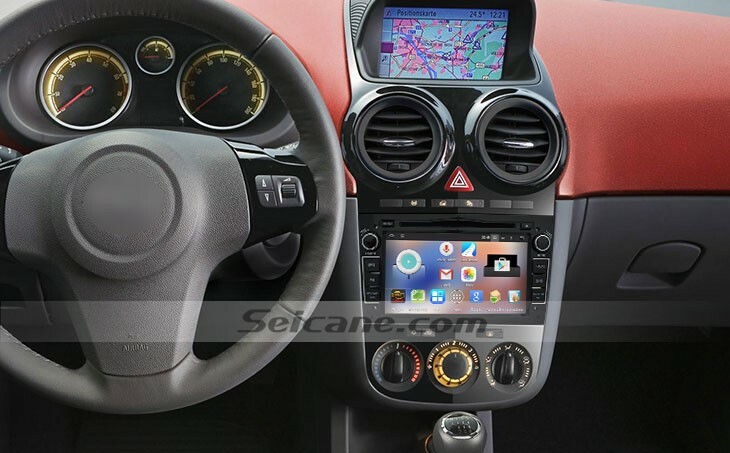 Here is the most up-to-date 2004-2010 Opel Astra head unit from Seicane, which is upgraded to the latest Android 4.4.4 operating system and a remarkable RK3188 1.6 GHz Cortex A9 Quad-core CPU to facilitate the response greatly. It features a built-in 3D real-time GPS navigation system, Bluetooth, DVD player, FM/AM radio, RDS, TV, WIFI, 3G, USB, SD, etc, which can greatly meet your different needs in a car. If you are careful enough, you may find that head units with Android system can support surfing the internet via 3G or WIFI network. Getting connection with the internet, the unit allows you to read online news, search for online data, listen to your favorite music, watch a lot of wonderful videos, play your favorite games, download thousands of apps like Skype, MSN, Twitter, Gmail, Facebook, etc. It offers a great deal of convenience and pleasure for you with the WIFI and 3G network function. If it’s the first time for you to use an aftermarket head unit, you may feel confused at how to surf the internet with this Opel Astra head unit. Here I’d like to share the way with you. At first, you turn on the unit and find the browser or IE icon, then click it. You may find the webpage is unavailable, don’t worry, it’s just because you haven’t connected WIFI or 3G network. To get connection to WIFI or 3G network, you can go to the setting interface, then find out the network or WLAN, click it and find the available WIFI account and then input the password. In this way, you’ll find the unit is connected to the network. After that, you can go back to the main menu and click the IE browser again. If there is still a blank page again, you can input the website address on your own to try again, in this way, you can freely surf the internet. This unit is touch screen, if you find the webpage is not big enough to check, you can use your fingers to amplify it. This Seicane Opel Astra head unit with a lot of features can meet all your needs that you’d expect from a head unit. You can not only get to your desired destination with the accurate guidance but also have an enjoyable journey thanks to its compatibility of a lot of multimedia formats. The Bluetooth is also available for you to have calls with your hands on the steering wheel control and stream music when you simply pair your mobile phone with this unit. 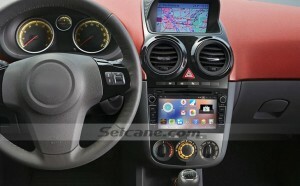 Enjoy a different and relaxing journey on all trips, just install this Seicane Opel Astra head unit in your car. Wish you have a wonderful time with it! Good luck to you!